St. Raphaela’s Secondary School is a voluntary secondary school for girls, under the trusteeship of The Handmaids of the Sacred Heart of Jesus. As such, it supports the religious and educational philosophy of its foundress, St. Raphaela Mary. Saint Raphaela Mary was the Foundress of the Handmaids of the Sacred Heart of Jesus. She wanted her sisters to work all over the world. Before she died in 1925 she was delighted to see her sisters opening a house in London. From London, the sisters came to Dublin in 1942 and opened a retreat centre in Finglas in North Dublin. Later they moved to Avoca Avenue Blackrock before being invited by the Archbishop of Dublin to move to what is now St. Raphaela’s in 1971. The Primary School was then known as Saint Philomena’s and the Secondary as Marillac. Later they moved to Avoca Avenue Blackrock before being invited by the Archbishop of Dublin to move to what is now St. Raphaela’s in 1971. The Primary School was then known as Saint Philomena’s and the Secondary as Marillac. 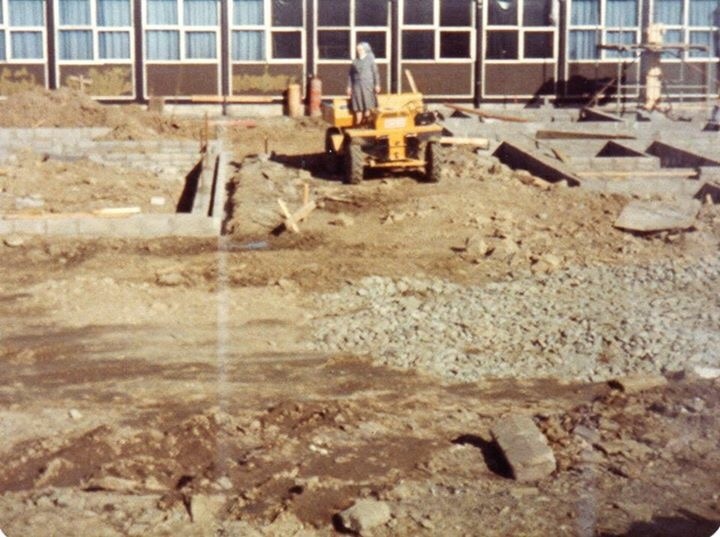 Marillac Secondary School began its life as a small group of prefab buildings huddled together beside a large water gathering dip in the land contour, affectionately known as the swimming pool, in the late 1950’s and early 1960’s. This was the time when “Free Education” was first introduced into Ireland and all children first had the privilege and the right to an education up to the age of eighteen. The school quickly became a centre for excellence and hundreds of eminent women in Ireland today owe their success to what are now Saint Raphaela’s Schools. In 1971 the Daughters of Charity left the schools and the sisters of the Handmaids of the Sacred Heart took it over form them at the invitation of John Charles Mc Quaid, then Archbishop of Dublin. The name Saint Raphaela’s was given to the schools and to the campus in summer 1977 to mark the canonization that year of Saint Raphaela Mary, foundress of the order of Handmaids of the Sacred Heart. She was born in Pedro Abad, Spain on the 1st of March 1850. In 1875 she entered the Noviciate of the Society of Mary Reparatrix, together with her sister Pilar. The time spent there made a deep impression on their lives and was a preparation for God’s plan over them. In 1877 they founded the Institute of the Handmaids of the Sacred Heart of Jesus. She died in Rome, on the 6th of January 1925. On the 23rd of January 1977, before the whole world, Paul VI proclaimed that this woman had lived the Gospel with all its consequences. From then on, we evoke her as Saint Rafaela Maria of the Sacred Heart. 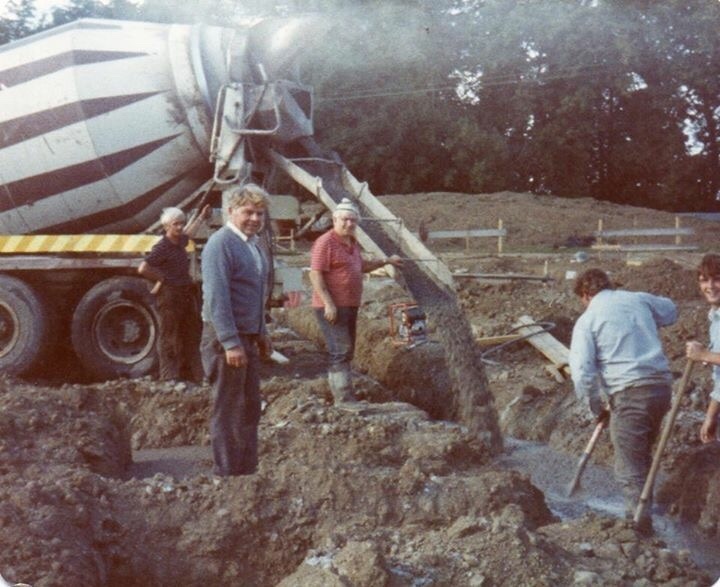 The foundation of St. Raphaela’s Secondary School on its existing site in Stillorgan can be traced back to the Pilkington family, who were the original proprietors of Wesbury House. Wesbury House was the name given to the present day convent house and was built in 1750. The Pilkington family, who were notable glass makers in the area, later sold the house to the Delvin family who in turn passed it on to the Daughters of Charity. The Daughters of Charity then opened an orphanage for boys and primary school called St. Philomena’s in 1932 on the site. The original land that the Daughters of Charity occupied contained a fully functioning farm, serviced by the sisters, that produced food for the sisters and children in residence in St. Philomena’s. The entrance to the school campus was originally located where the entrance to the Stillorgan Wood housing estate is on the present day Upper Kilmacud Road. The Daughters of Charity would remain in residence on the site until 1971. The original entrance to Wesbury House. A number of factors contributed to the necessity to establish a secondary school on the site. Firstly, in the early 1960s the institutional care of children in orphanages was no longer considered necessary. Children at this time were being fostered or cared for in smaller residential units. As a result, the orphanage at St. Philomena’s was slowly emptying. In addition, there was no other school in the Stillorgan area for girls other than Mount Anville which at the time was a fee paying school and was considered very expensive. The other nearest secondary school for girls was in Milltown, five or six miles away. Therefore, the Archbishop of Dublin, John Charles Mc Quaid, asked the leadership team of the Daughters of Charity would they consider setting up a secondary school on the site. The leadership team agreed. 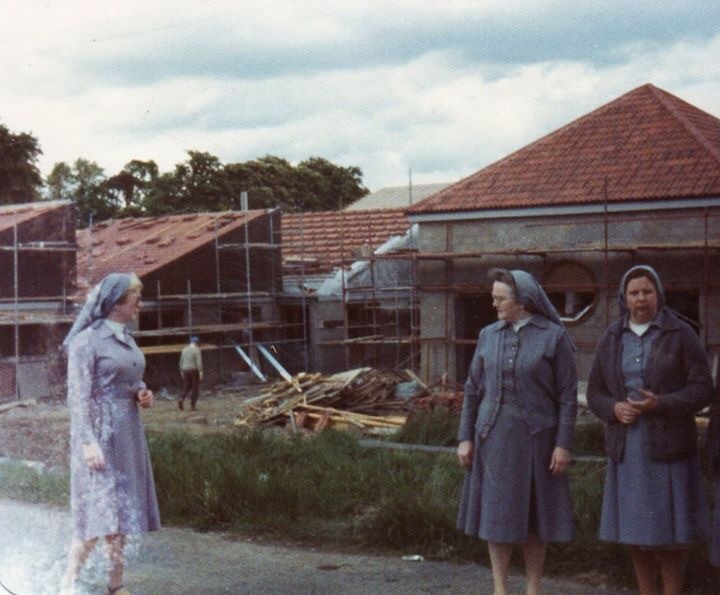 On Friday 19th February 1965, two inspectors from the Department of Education, Mr. O’Flynn and Mr. Lindsay, the architect, Mr. Duffy and three members of the Daughters of Charity community, Sr. Visitatrice, Sister Mary and Sister Hughes, surveyed the site. 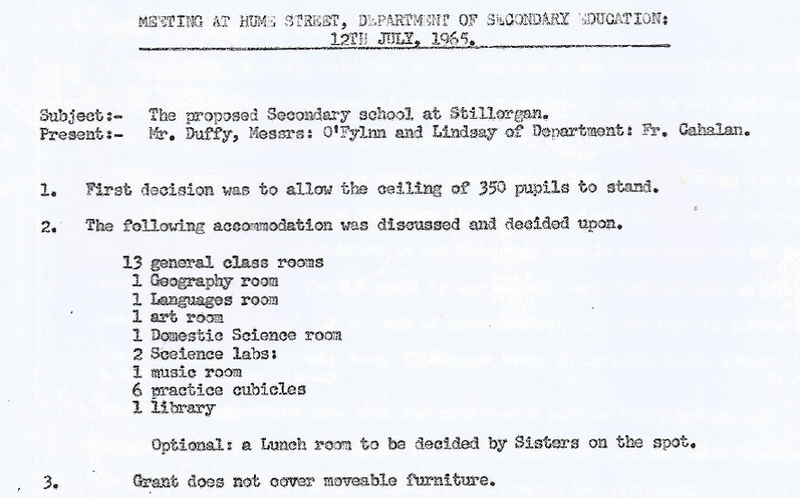 In a meeting in the parlour of the convent afterwards, the inspectors indicated that while they were impressed with the site, they were not satisfied using the existing convent building as a long term solution for the provision of a secondary school. However, they were satisfied to use the convent as a temporary measure with the provision of new buildings to be realised within a period of four to five years. Furthermore, the Department of Education agreed to provide a grant covering 60% of the total build cost. The Department officials were anxious not to build a school that was ‘inadequate’ and made a number of recommendations to avoid retrospective works being carried out on the site. Amongst these recommendations were; the provision of subject specific rooms for Geography and languages and an extensive library. The architect Mr. Duffy considered the amenities recommended by the Department of Education as ‘lavish’ and ‘wasteful’ and recommended a scaling back of these recommendations. Extract from a meeting with Mr. Duffy, Architect July 1965. Details of meeting held at Department of Secondary Education, Hume Street July 1965. The final overall cost of the provision of a secondary school on the site of the present day St. Raphaela’s was estimated at £200,000. 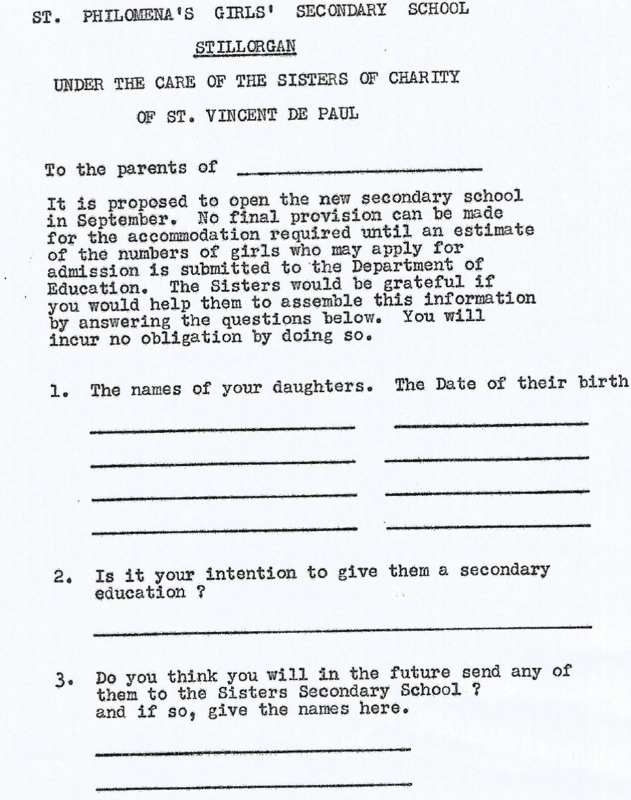 An estimate of the numbers of girls who would apply for admission was to be obtained by carrying out a census in the area with the below form sent to households in the area. Census form sent out to parents circa 1965. Marillac Secondary School, named after St.Louise De Marillac, opened in September 1965 with an intake of 29 girls. They were divided into two classes with 18 in one and 11 in the other. The majority of the girls were from the immediate area and had attended Mount Anville National School or Saint Theresa’s in Milltown, Co. Dublin. The school began its life in two small rooms of the old orphanage. The first two years were fee paying at a lower level of £30. The first intake of students moved into the newly constructed prefab buildings in their Leaving Certificate year of 1969/1970. It is interesting to note that in the first Leaving Certificate cohort there were four Sisters of Charity nuns and two from the Handmaids of the Sacred Heart of Jesus. The original teaching staff consisted of the Principal, Sr. Frances Keogh, Ms. Fina Fullam from Limerick, after whom Fullam Hall, the sports hall of the school is named, Sr. Anne Marie O’Brien, a Mercy nun from Navan who was doing her H-Dip and Sr. Phyllis Lee, (then Sr. Fintan). Bean Mhic Lochlainn (Gaeilge), Ms. Rooney (Music) and Ms. Petit, (Physical Education) joined the teaching staff over the following years as student numbers increased. The first group started in first year with a number of them leaving following the Intermediate Certificate, taking up jobs in the bank, nursing and primary teaching. The Daughters of Charity remained on site for four years before moving to Ballyfermot to set up a school there. Although the Handmaids of the Sacred Heart of Jesus did not take up residence on the site until 1971, their connection with the site can be traced back to the early 1940s. 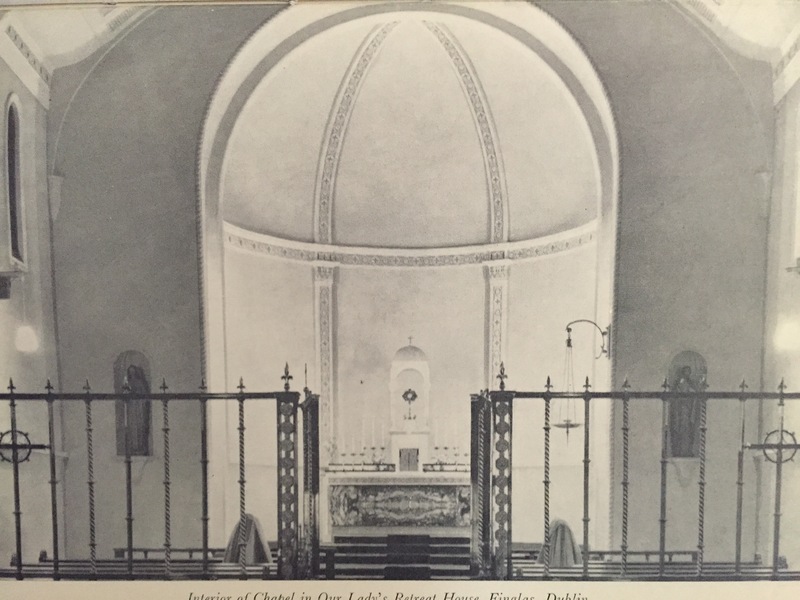 Following the appointment of John Charles McQuaid as Archbishop of Dublin in 1940, a delegation of two nuns from Handmaids of the Sacred Heart of Jesus made their first visit to Dublin. The Provincial of the Order in England, Mother Maria Rull from Sevilla and Sister Celia Garcia went to see the newly appointed Archbishop to request permission to open a convent and school in Dublin. The need for this came as a result of the large amount of Irish sisters who were travelling to the convent in London from Dublin to exercise their duties. The initial response from the Archbishop was a negative one however, with a denial being issued to the travelling Handmaids. The reason given was that Archbishop McQuaid was of the opinion that there were a sufficient number of schools in the area at that time. The sisters had brought with them the first relic of Raphaela Mary, who at this point had not been canonized, to give to the Archbishop in gratitude for accepting the Order into Ireland. Although disappointed at the Archbishop’s initial response, Mother Maria Rull remained gracious and informed the Archbishop that they had brought the relic in anticipation of a different outcome but that she still wanted him to meet their Foundress, Raphaela Mary, regardless. At this point Archbishop Mc Quaid picked up the relic and apparently the moment he did so, his demeanour changed somewhat and he asked the Mother Maria Rull what other works the Handmaids were engaged in besides schools. Mother Rull informed the Archbishop that they also had a number of retreat houses. Archbishop McQuaid then gave permission to Mother Rull to open a retreat house in Wellmount Road in Finglas, County Dublin, thus beginning the Handmaids’ association with Ireland. The Handmaids opened Our Lady’s Retreat House in Finglas in 1942 before later moving to Avoca Avenue in Blackrock. Mother Rull and Sister Celia Garcia were staying with in a convent with some Sacred Heart nuns who were extremely impressed with the fact that Archbishop had changed his mind on the matter so quickly. Chapel of Our Lady’s Retreat House, Finglas, Dublin. The late 1960s was a period of tremendous change in the landscape of Irish education with Minister for Education, Donogh O’Malley’s ground breaking announcement that secondary school education would be free for all in 1966. This announcement, combined with with the impending departure of the Daughters of Charity to continue their invaluable work in Ballyfermot, had made it necessary to find another order to take over the running of the school. The Archbishop had recalled his meeting with the Handmaids a number of years previous and he invited them to take over the running of the school, to which they duly accepted. The Handmaids of the Sacred Heart of Jesus began their trusteeship of the school in 1971. Numbers grew significantly. By 1973 the Handmaids were forced to use the two front parlours of the convent house to accommodate the overflow as a result. The school continued under the name of Marillac until the name Saint Raphaela’s was given to both the primary and secondary schools in the summer of 1977 to mark the canonization that year of Saint Raphaela Mary, Foundress of the Order of Handmaids of the Sacred Heart of Jesus. In the early part of the 1980s the need for a newer building to replace the old prefab buildings was becoming apparent. Extensive redevelopment of the site was undertaken with a modern, fully functional secondary school built in place of the dated old prefab buildings. The new secondary school building was opened in 1986. A new wing was added in the 1990s and the Astroturf sports complex was added in 2008. On the 18th May 2011 the road which goes through the old Wesbury house entrance and where the entrance to the new campus is located, was renamed ‘St. Raphaela’s Road’. The school celebrated its Golden Jubilee in October 2015, with a ceremony to mark the occasion in which a number of former teachers and distinguished past pupils were in attendance. Further classrooms were added to the secondary school building in 2015 to complete the development of the site from its humble beginnings in two small classrooms in the old convent to the thriving centre of education excellence it is today.